Eight options for every kind of commute. You can (and should) invest in great coffee beans, store them in an airtight container, and brew them with the best gear around. But pouring that elixir into a cheap travel mug is a great way to waste all of that money and effort. Bad mugs don’t keep hot coffee hot or cold coffee cold, leaving you with lukewarm swill. Oh, and they leak. The only thing worse than drinking bad coffee is not even having bad coffee to drink because most of it ended up on your shirt. But deciding to ditch that free mug you got for donating to NPR ten years ago is the easy part. Finding a worthy replacement, with so many brands, features, and price points available, is difficult. We reached out to Bryan Duggan, Eastern Divisional Manager for Counter Culture Coffee and coffee-loving dad, for some expert guidance. He says that you actually can tell a lot just by looking at a mug. Pick one that’s compact, without a top-heavy shape that can fit into a cupholder. Make sure the lid is easy to operate and closes with a dependable seal. Duggan likes mugs with insulted walls that can keep both cold brew and hot coffee ready to drink for hours. Here are eight of our favorites that meet his standards. 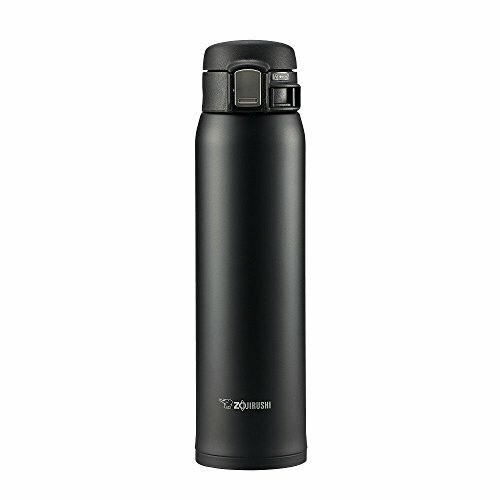 This food-grade stainless steel flask is rugged enough for the campsite and refined enough for the conference room. Its double-walled construction will keep your iced coffee cold for up to 24 hours, and your regular coffee hot for up to six. The BPA-free wide-flip lid seals tightly, so you won’t spill any precious liquid in transit. Pros: The powder coated finish gives every Hydro Flask a unique look, no matter which of the wide array of colors you pick. It also makes the mug highly grippable, a feature that’s more than nice to have in something designed to be carried around. Oh, and it’s available in three different sizes. Cons: The styling on this cup is similar to that on some of our other picks, but not quite as clean. This mug excels for people who find themselves carrying their coffee on their person for large chunks of the day, to and from the office and from meeting to meeting. 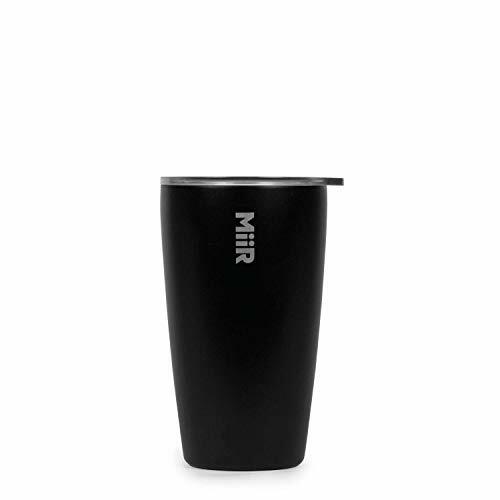 Pros: It’s compatible with most car and truck cupholders, and it has the sleek, simple look that’s Miir’s trademark. And if that wasn’t enough, Miir donates 3 percent of its revenue to projects around the world. You can even track where the funds from your mug went simply by looking up the code printed on the bottom of the cup. 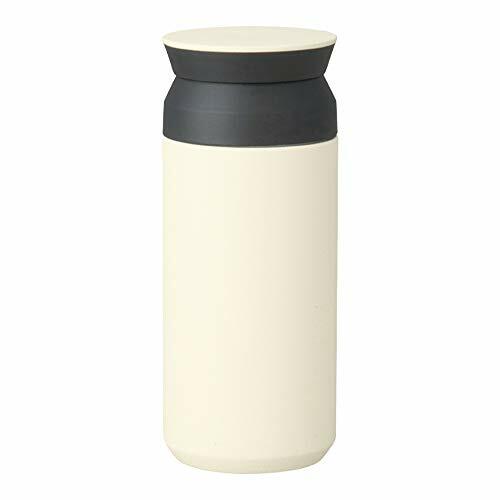 Cons: Its lid is easy to sip from and take off but it’s not designed to be tossed around with abandon, so you can’t chuck it in your bag as you hurry out the door in the morning. Kinto is a Japanese brand that emphasizes usability and aesthetics. Its travel tumbler is an insulated bottle that comes with a simple screw-off top instead of a lid with a built-in opening. The Kinto comes in 12- and 17-ounce variations in both bare stainless steel and powder-coated finishes. Pros: Two silicone rings form strong seals between the plastic pieces that fit on top, so you won’t have to worry about spilling as long as you screw everything on tight. 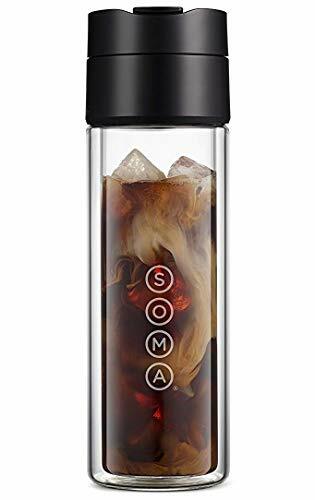 Cons: The screw-off design means there’s no easy to take a quick sip on the go or to operate this tumbler one-handed, as you can with many of our other picks. 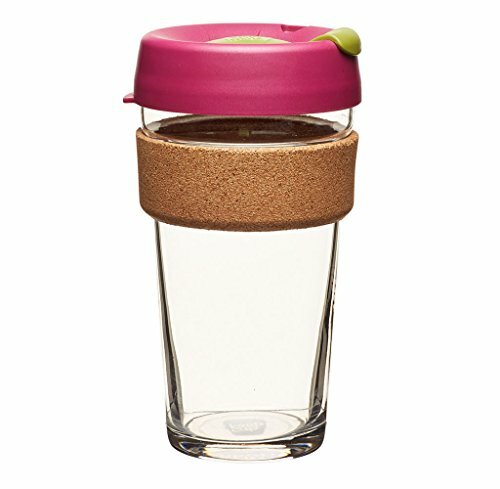 If you're looking for something beyond steel, we recommend this glass, cork, and polypropylene mug from KeepCup. The glass is fully-tempered, a process used on everything from vehicle windows to diving masks, that increases its strength. If you find yourself hitting the coffee shop multiple times a week, this is a great cup to use instead of wasteful paper or styrofoam options. Pros: The lid snaps on tightly and has a simple flip-top opening, and the cork both looks great and is comfortable in your hand. And the clear sides make it easy to know when it’s time to grab a refill. Cons: It’s not quite as good at retaining heat as double-walled stainless steel, so we don’t necessarily recommend this option for people who like to savor their morning joe. As its name suggests, this product let you make your beverage of choice directly in the bottle. For hot coffee, load the included fine mesh stainless steel filter with grounds and pour hot water over it. Load the filter with loose leaf tea and submerge it in hot water to steep. Cold brew coffee is as simple as filling the bottle with grounds and water and refrigerating it overnight. Pros: The fact that it’s a brewer and travel mug in one means that there’s no need to clean whatever brewer you were using before. It’s also a beautiful object to look at. Cons: The brewing mechanism makes this one of the more expensive mugs on this list, so if you just want something to pour your coffee into it’s not a great pick. It’s capacity, just 12 ounces, also won’t be enough for true caffeine addicts. Contigo's Autoseal system is one of the best spout mechanisms we've seen. Simple press the button on the back of the mug, where you hand naturally rests while holding it, and the spout on the front nearest you opens. Flip a switch on the top to lock it for worry-free travel. These mugs also come in a reasonably-priced two-pack, so you can give one to the wife or keep a spare around. 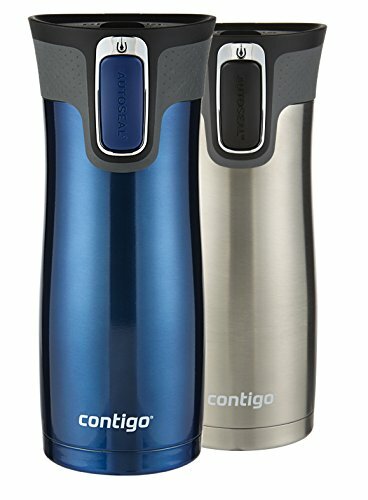 Pros: The mug itself is stainless steel, and Contigo claims up to five hours of keeping hot drinks hot and 12 hours of keeping cold drinks cold. The lid also stays in one piece when you clean it, so no tiny, essential parts can go missing. Cons: The lid is dishwasher safe, but you can only wash the stainless steel body of this mug by hand. This slender, Japanese-designed mug fits in pretty much any cup holder. Its lid mechanism, a button that when pressed flips back the top, revealing a plastic pour spout, complete with an air vent to facilitate smooth flow, that is easy to use one-handed. Pros: When locked, this mug is completely trustworthy rattling around in the bottom of your bag. The interior has a nonstick coating that makes it easy to clean, and at just eight ounces it’s one of the lightest mugs on the market. Cons: The lid mechanism has several small, intricate components, including a rubber ring. It’s not hard to take apart, but it’s definitely a pain to clean. In 1913, William Stanley received a patent for his heat-insulated receptacle, an all-steel, double-wall vacuum bottle. The company that bears his name still makes one of the best bottles out there, with the lifetime warranty to prove it. The steel lid unscrews and doubles as an eight-ounce cup. 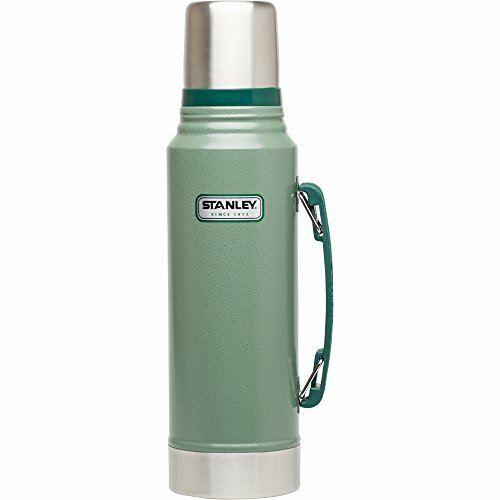 Pros: The larger sizes (1.1, 1.4, and 2 quarts) come with a handle on the side that makes the spillproof bottle easy to tote around, and the pale green paint job and hammertone powder coat finish are as iconic as they are attractive. Cons: If you find yourself drinking coffee crammed into a train car or staring at the road ahead, you won’t find too much to love about pouring hot liquid into a small cup before you can drink it.